Quiet, Friendlysubmitted by Santiago M. - Sep 06, 2017 |Recommended: YesI have recommended the apartments to numerous friends, i have no complaints so far. Great living and leasingsubmitted by Randy O. 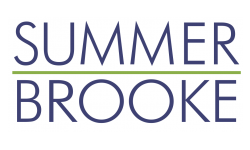 - May 04, 2016 |Recommended: YesI love the environment, cleanliness and convenience of Summerbrooke, the staff is always helpful and friendly, maintenance is always prompt. The pool is great and the grounds are beautiful. You have typical noise like any apartment complex but all in all I enjoy living here.